Wave (iii) has been ended on 7/8 MM Level, so there’s time for a correction. Therefore, the market is likely going to decline in wave (iv) shortly. 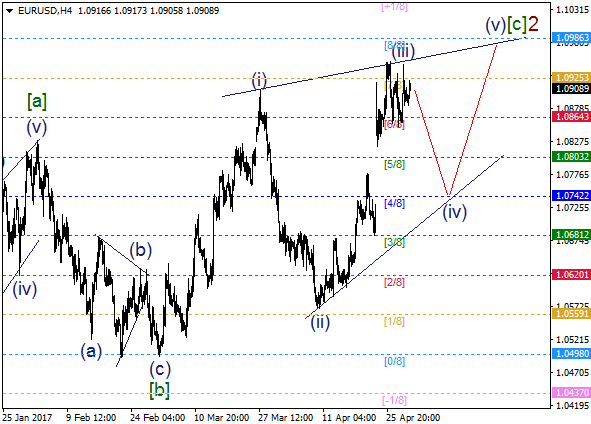 The main intraday target is 4/8 MM Level, which could be a departure point for wave (c) of [c] of 2. 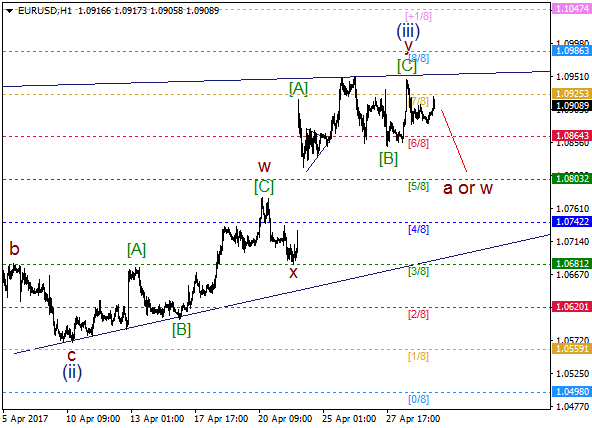 We’ve got a double zigzag in wave (iii) and a lot of pullbacks from 7/8 MM Level. In this case, bears are likely going to deliver a downward wave a or w in the coming hours.